Energy and matter are essential to the function of any system. Energy is what powers processes and matter is what it works on and changes. Without a continuous flow of matter and energy the system will cease to function. Some systems conserve matter by cycling and recycling continuously. If these systems also have renewable or inexhaustible source of energy, they become sustainable..
Matter is conserved because atoms are conserved in physical and chemical processes. 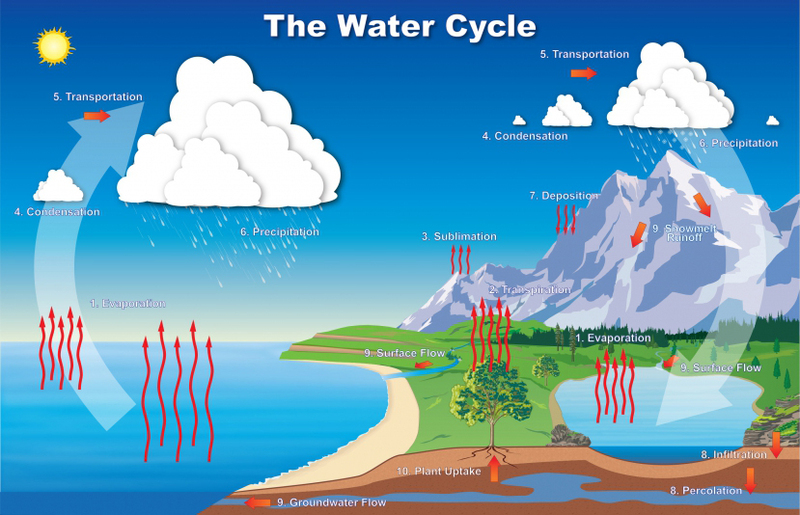 As complex as the water cycle is, water molecules are conserved and endlessly recycled in nature. Conservation of mass is a physical law that s never broken. Within a natural system, the transfer of energy drives the motion and/or cycling of matter. 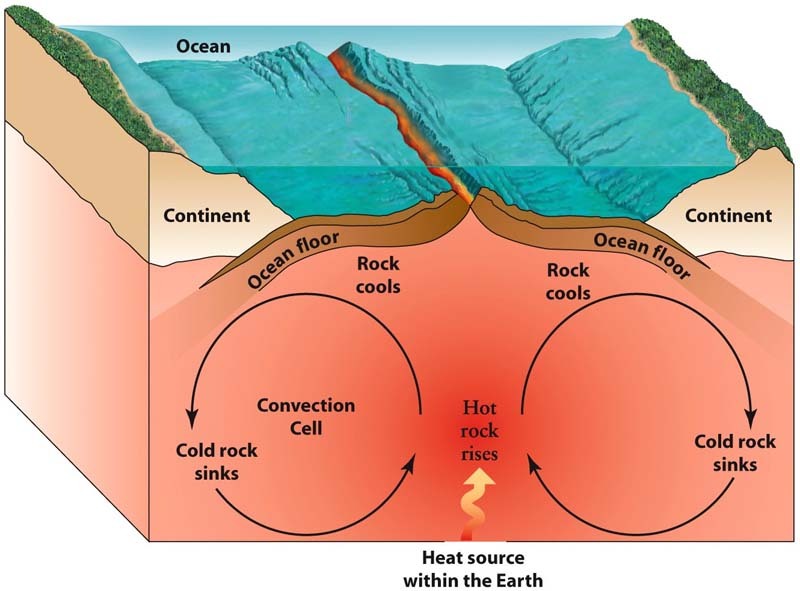 Heat from the core of drives convection within the mantle and moves tectonic plates across Earth's surface. Plants use the sun's energy to create sugars through photosynthesis. Animals use these sugars as a source of food (chemical energy) to power their life processes. Energy comes in many different forms and constantly is changing from one form into another. Energy may take different forms. Energy can be found in fields (such as gravitation or magnetism), as thermal energy (the motion of the particles of matter), as chemical energy (stored in the bonds between atoms), or as nuclear energy stored in the nucleus of atoms.